We’re busy preparing for the 2018 season and are sure it’s going to be a good one! 2018 promises to be an exciting year, with several new boats and a new, idyllic destination, Canada. With our current early booking discounts of up to 25%, it’s certainly the best time to get on board. But, we know that price isn’t everything. Our customer service continues to bring us 5-star ratings and our guests continue to recommend us to their friends and family. Here at Hotels Afloat, we go the extra mile. This season we have booked a wheelchair for a client, and also a vet’s appointment for a client bringing his dog to France for a cruise! Our aim is always to find the perfect cruise for you, and to make the whole search and booking process as simple as possible. With over 40 years experience, and our in-depth knowledge of France, our home, we are happy to help in anyway that we can. This year we’ve introduced a Chat facility on our site so that you can speak with us directly if emailing is not your thing! Of course, we’re always happy to call you if you’d prefer to speak on the phone. We’ve also created personalized online booking forms so that you can confirm your cruise with just a few clicks. Coupled with our secure online payment facility, reserving your holiday with Hotels Afloat is now so simple and stress-free. 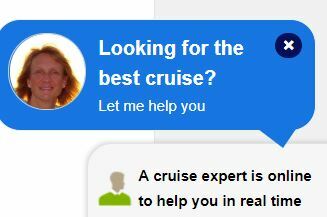 Thank you for checking in on our Cruise News. We hope to see you aboard soon!